where I was speaking with Chrystel, now a PhD student at Université Laval (Quebec City, Quebec). 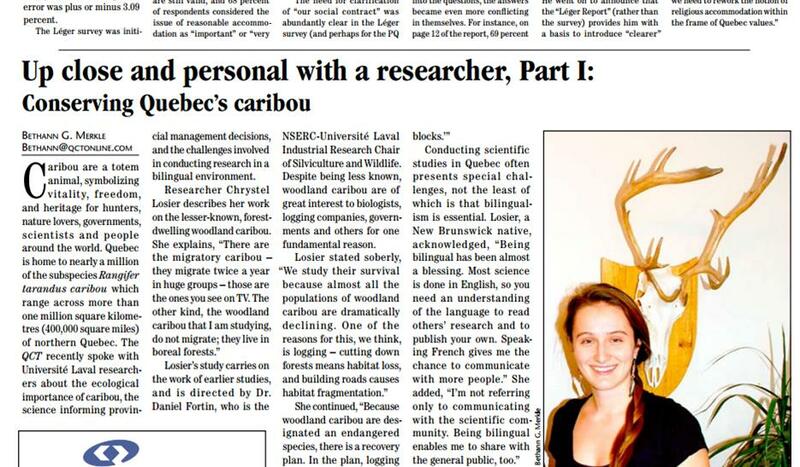 It turns out Chrystel’s fiancée Alex is also a caribou researcher, although they study different questions in different herds. 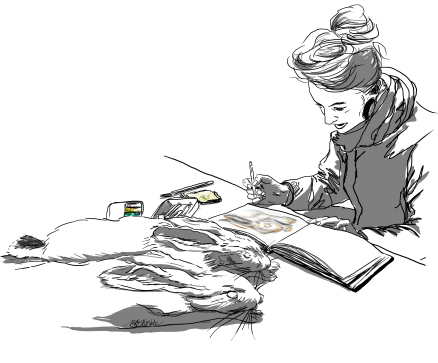 During the interview process, what struck me was how differently Chrystel and Alex thought about their work, their study species, and the issues that influence them. Alex has been deeply interested in caribou for most of his life, while Chrystel had never thought much about them before starting her graduate degree. Chrystel’s work focuses on conserving animals heavily impacted by forestry, so there are a lot of associated factors (economic, environmental, etc.) that come into play. On the other hand, Alex’s work is much more focused on the question of viable hunting management, and the stakes are high – First Nations rights and traditions, highly valuable outfitting businesses, etc. in favour of focusing on the debate, money, etc. Comparing and contrasting their approaches as people doing science wasn’t something a journalist had ever asked of them. 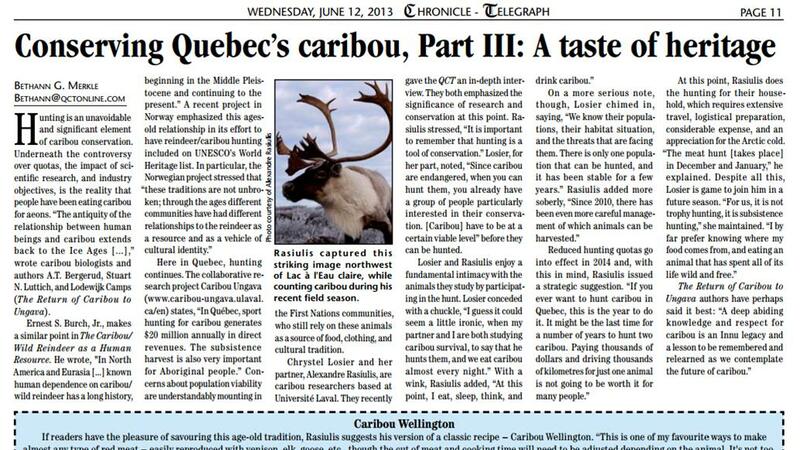 To the best of our knowledge, this was an exclusive “behind the scenes” look at scientists whose research is being used to determine the future of Quebec’s caribou. As an unexpected perk, the series won an award for Best Investigative or In-Depth Reporting! ← 3 reasons why we should tell stories about scientists, not just science.